People used to think that losing your teeth was just a part of life. The mindset was that when you get to be a certain age, tooth loss is pretty much inevitable. But nowadays, we realize that this thinking is misguided. After all, we are meant to continue to eat for the rest of our lives. People in their 20s, 30s, and 40s are not content to simply accept tooth loss as their eventual fate. This is likely due to the greater emphasis placed today on maintaining good dental health. For example, the American Academy of Pediatric Dentistry urges parents to bring their children in for their first visit to the dentist by age 1. Furthermore, dentists are finding that many of their younger adult patients are quite knowledgeable about the health of their teeth, perhaps because of marketing, seeing the procedures their parents are now getting done, or simply having the importance of good oral hygiene habits ingrained into their psyche from an early age. Not surprisingly, when they do face issues with their teeth, they tend to be proactive in seeking out the treatment options available to them. Even though there is now a greater focus on preventive care to avoid losing your teeth later in life, sometimes tooth loss occurs sooner. You can lose teeth at any age for a variety of reasons, such as illness, and more commonly, sports injuries or other trauma. 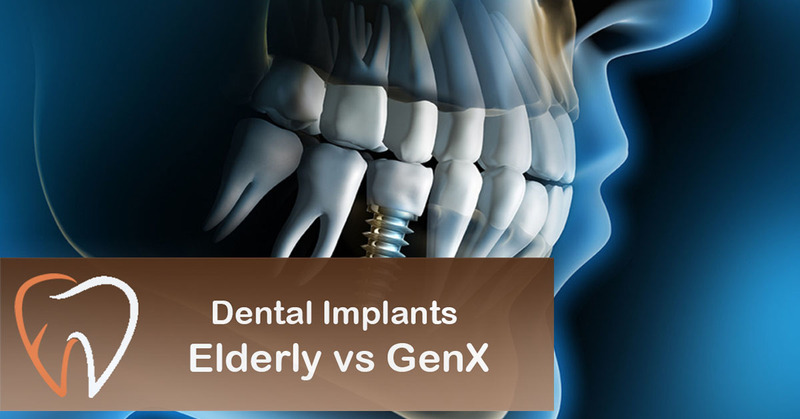 People who experience tooth loss at a younger age are likely to embrace procedures like dental implants, which are artificial roots that are placed into the bone, to which replacement teeth are then attached. Implants are popular because they are nearly indistinguishable aesthetically from your natural teeth and made to last a lifetime. Furthermore, there are no concerns about the new teeth moving around in your mouth (a common complaint with dentures), and you care for them the same way you care for all your other teeth. Whether you are 20 or 80, you deserve to have a healthy-looking smile. To learn more about implants or other restorative procedures that might be right for you, click here or contact our office.